The high popularity of Crimea’s Yalta Bay among tourists has played a bad trick on the area’s ecosystem. Locals considered different solutions to the problem, but Russia’s Black Sea Fleet seems to be the only anchor. Professional diver Aleksey Markov has been exploring the depths of the Black Sea in Ukraine’s Crimea for more than three decades. He says the underwater world here is absolutely unique from a scientific point of view. But he’s concerned about a danger that every year is getting worse. Markov has considered many different solutions to the problem, but his friend Igor Zorin – a deputy in the Yalta city council – came up with a simple yet hopefully highly effective idea. 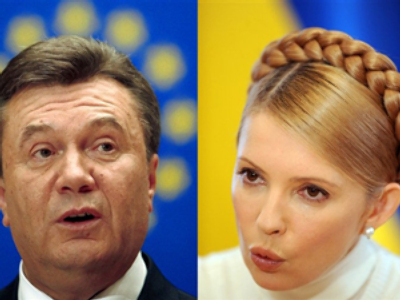 Zorin says the idea came to him after what was seen as a major policy shift in Kiev. The presidents of Russia and Ukraine signed an agreement to prolong the stay of the Russian Black Sea Fleet in the Crimea until 2042. With the previous administration in Kiev, ships of the Russian Black Sea fleet were unwanted guests in Ukraine’s Crimea and were to leave the area by the year 2017. But after the Kharkov agreement was signed, local authorities say they’re trying to do everything they can so that the fleet stays there for years to come. 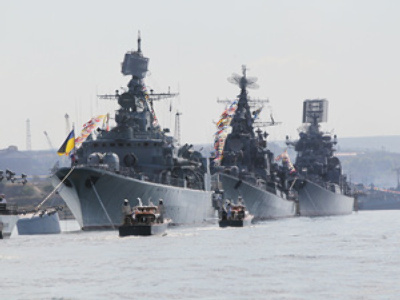 Directly after ratification of the pact, Russian President Dmitry Medvedev said the fleet needed serious modernization. And now the Crimea is ready to help Moscow with that. Sevastopol’s city council says the Russian naval presence there brings massive investment for the city’s infrastructure. And calls for a refitting of the ships may create jobs for the locals. April’s Kharkov agreement sparked mass opposition protests in Kiev. They described it as a sellout of the country. In Crimea, the mood is very much the opposite. The Russian Black Sea fleet command has yet to respond to the divers’ and officials’ proposals for an artificial reef, but they’ll be glad to see few here can imagine life without the ships anchored at Sevastopol’s docks. US missiles get closer to Russia’s borders? Secret Soviet submarine shelter – come on in!